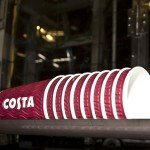 If you think your paper coffee and tea cups are currently being recycled, think again. 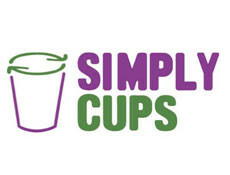 The stark truth is that the 2.5 billion paper cups used in the UK each year have been sent to general waste where they are either landfilled or incinerated. 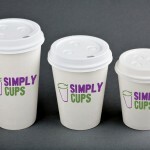 That is until Simply Cups; a partnership between waste management company Simply Waste Solutions and recycling specialists Closed Loop Environmental Solutions that is currently transforming paper cup recycling. Already signed up are the UK’s favourite coffee shop, Costa Coffee, retail giants, John Lewis Partnership, catering and facilities management companies, BaxterStorey and ISS Facility Services, cup manufacturers Huhtamaki, 4Aces and Solo Cup Europe, paper reprocessor James Cropper as well as prominent industry associations and environmental charities including WRAP, the Automated Vending Association and Keep Britain Tidy. 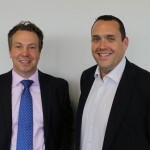 Environmental PR specialists, Barking Dog, was first tasked to generate market awareness about the launch of the service and to reveal its founding members. Over 40 pieces of press coverage was generated, online and offline, which helped to convince many new members to come on board. To back up the launch we designed and implemented the scheme’s website which also included a content-rich members-only area. 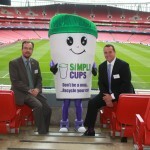 We also organised a very successful launch event at the Emirates Stadium where we were able to announce the scheme’s newest member; Costa Coffee. 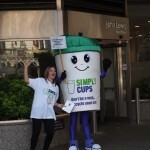 The service officially launched on August 1st at John Lewis Partnership’s HQ in London and already over 1million cups are estimated to have been recycled into new paper products.